Original screen used costume pieces from the 1987 film Superman IV:The Quest For Peace. 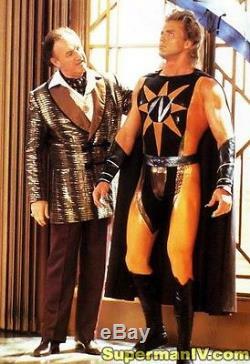 From Christopher Reeve's final Superman Movie comes this Costume made for the leading character'Nuclear Man', played by Mark Pillow. In the film's central storyline Lex Luthor creates Nuclear Man in attempt to destroy Superman. 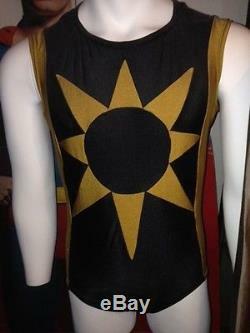 The one piece leotard style body suit features a large Sun emblem on the front chest. For most of the scenes this Sun emblem has a silver lightning bolt style design going through it. 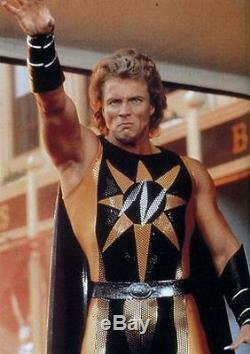 However, during the special effects sequence where Superman battles Nuclear Man in Space the Sun emblem does not have the lightning bolt design, as per this particular Costume. Superman movie villain wardobe is incredibly hard to find, indeed, this is our first experience of a Nuclear Man costume being offered for sale. Simply a wonderful piece of Superman Movie history. 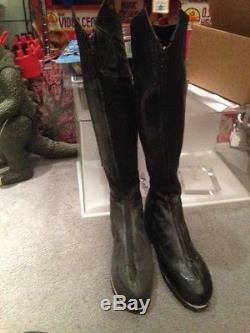 Special effects Nuclear Man boots: These are modified Superman Christopher Reeve front zipper boots, dyed black. 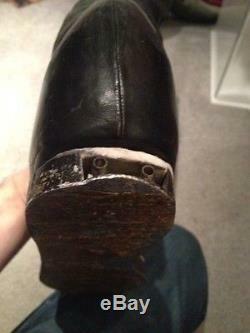 The boots have heating elements embedded in the soles which were plugged into an electrical outlet. When Nuclear Man walked across a specially prepared floor of a styrofoam material, it gave the effect of the floor "melting" under his sun powered super charged body. Both boots and bodysuit items have COAs. Great villain pieces from the last Christopher Reeve film. 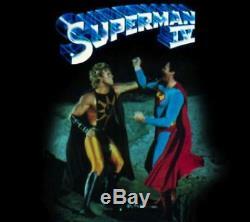 The item "Superman IV Movie Prop Costume And Special Effects Boots Reeve" is in sale since Friday, July 08, 2016. This item is in the category "Entertainment Memorabilia\Movie Memorabilia\Wardrobe\Originals". The seller is "mowsemeet" and is located in Henderson, Nevada. This item can be shipped to United States.